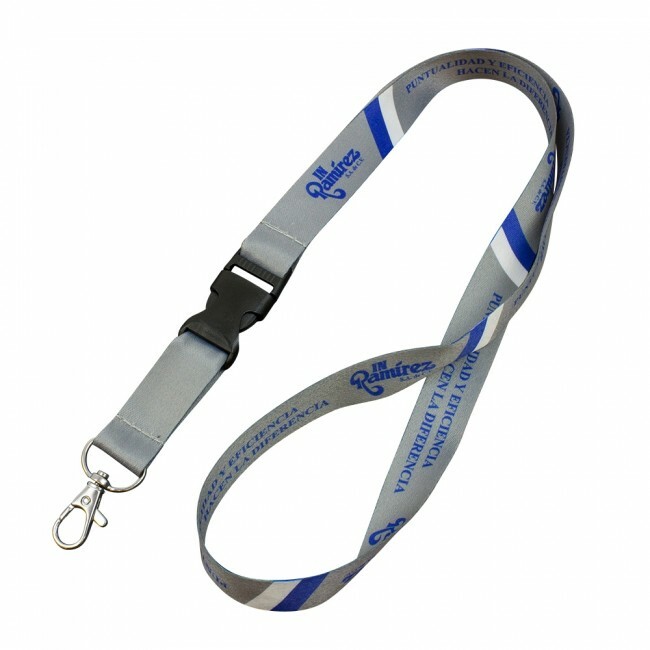 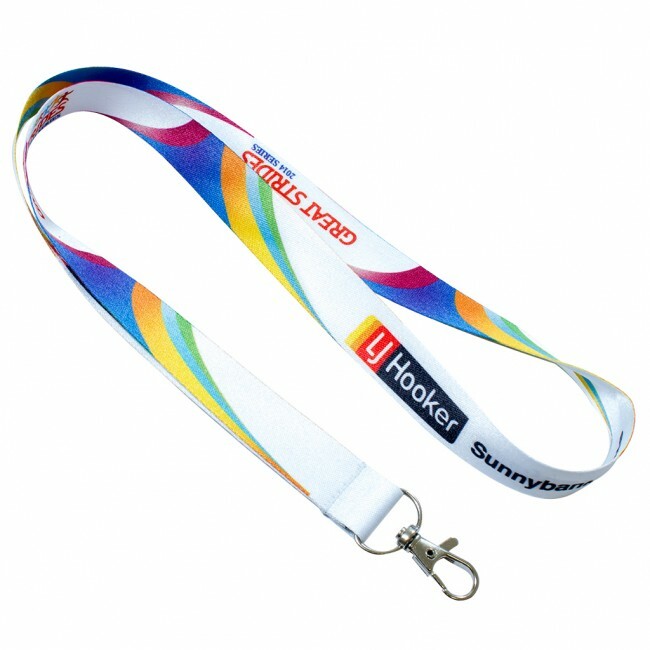 Sublimated lanyards are our ultimate, top of the line, full color printed solution. 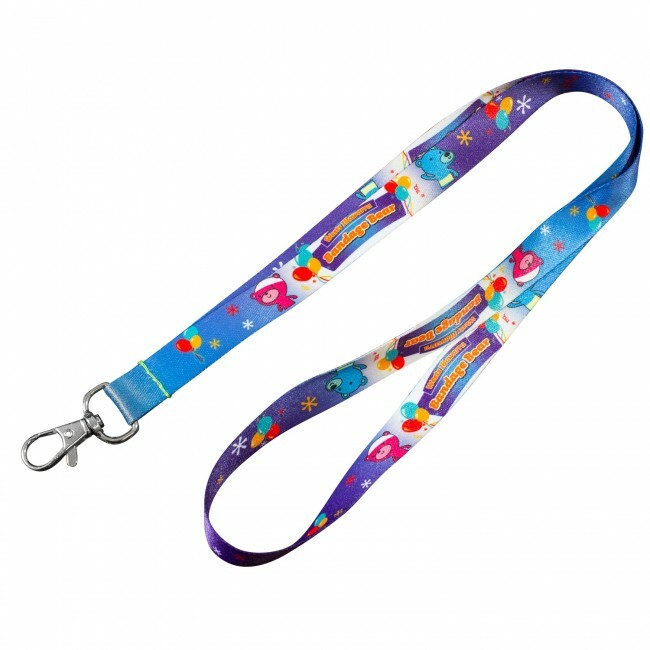 This lanyard should be your first choice if you are looking for a truly unique and exciting design opportunity with no limitations. 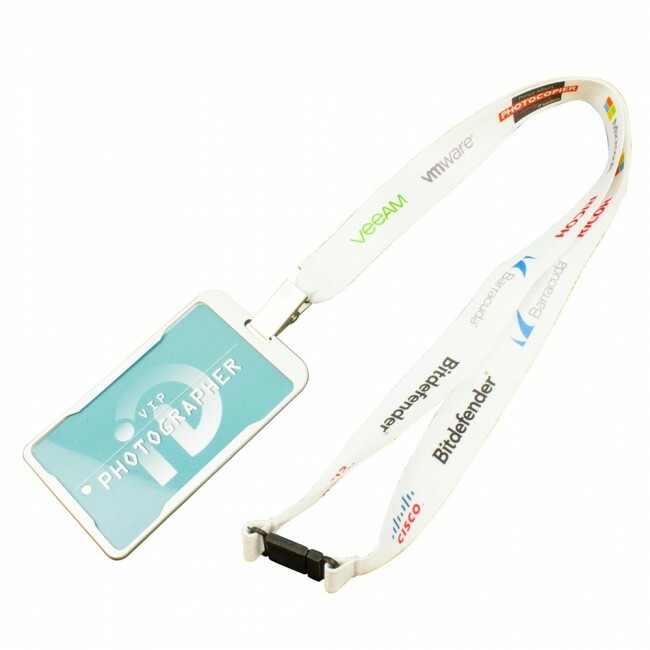 Our process allows us to print absolutely anything such as full color photographic recreation, gradients and vibrant background designs. 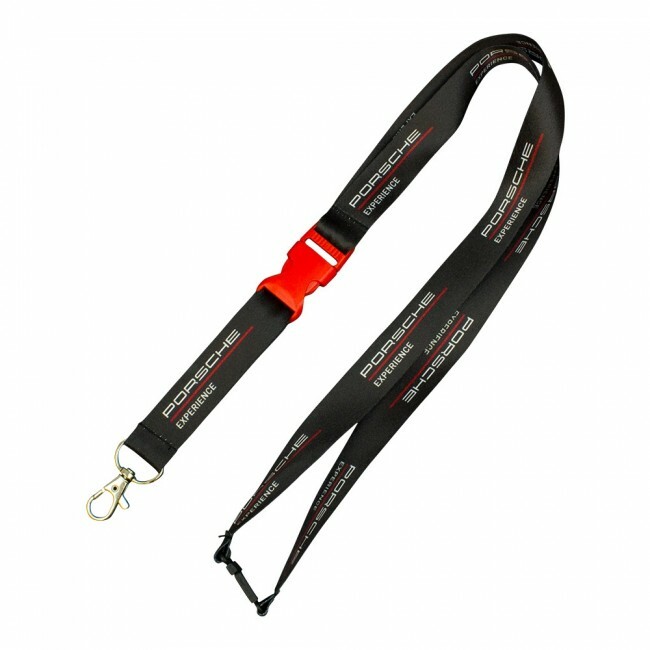 Add to all of this any combination of clips and fittings and you have yourself a truly unique product. 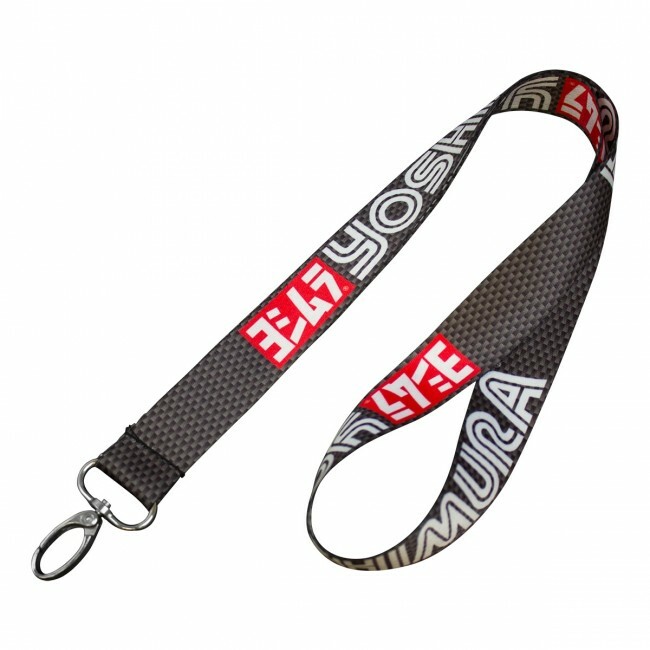 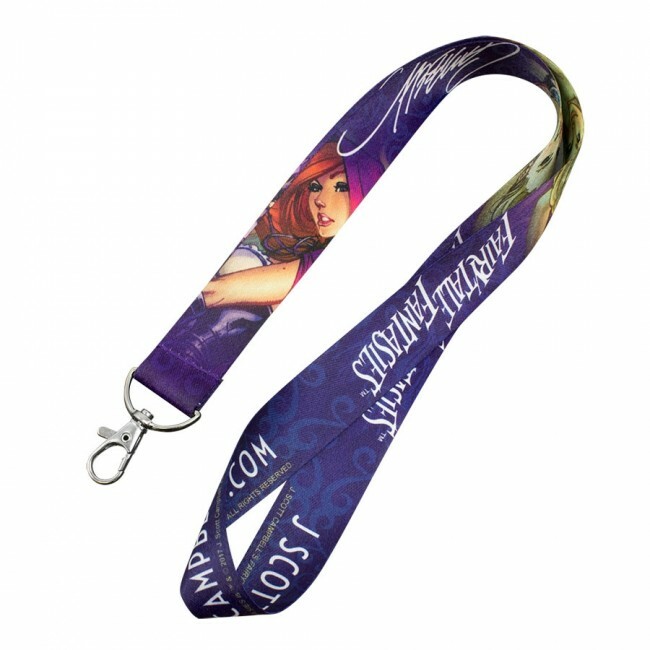 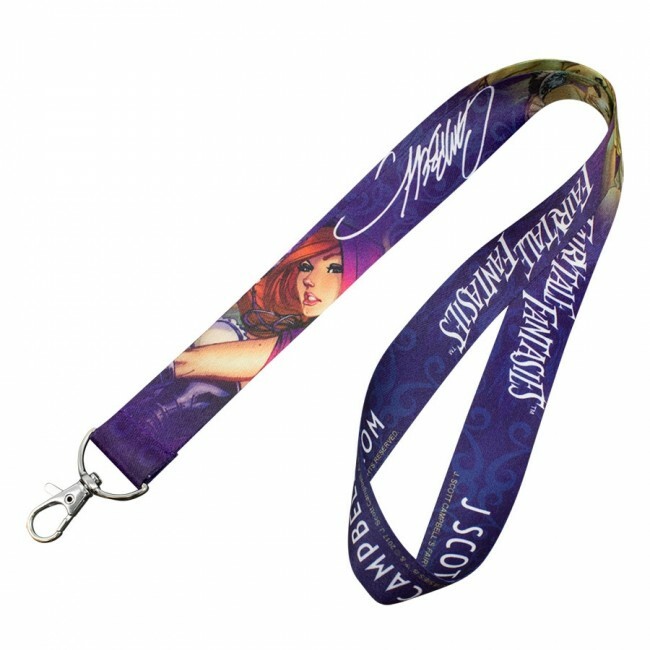 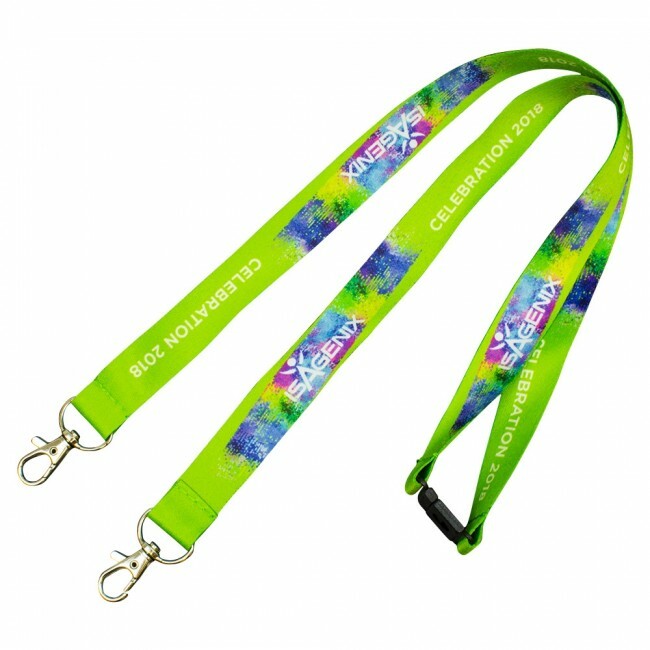 If you need a real show stopping, eye catching lanyard then dye sublimation is the right choice for you. 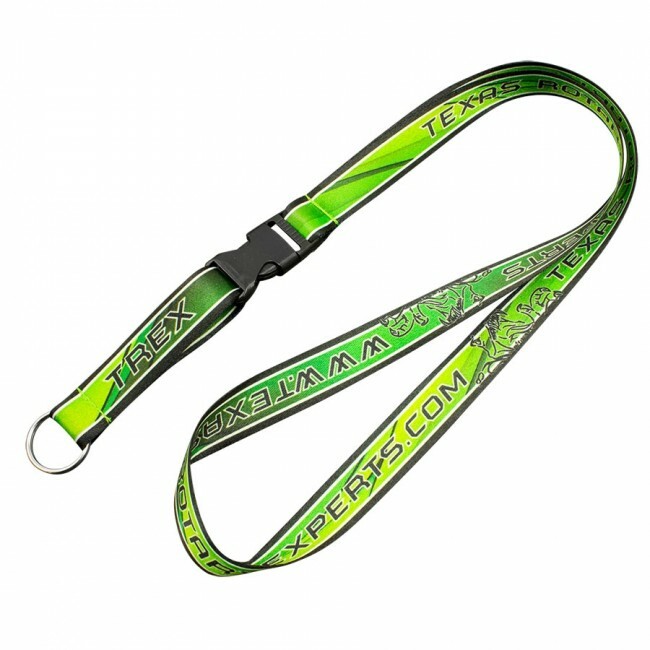 Full color gradients and photographic images are beautifully reproduced onto the material length, which features a rich silky finish that is extremely comfortable to wear. 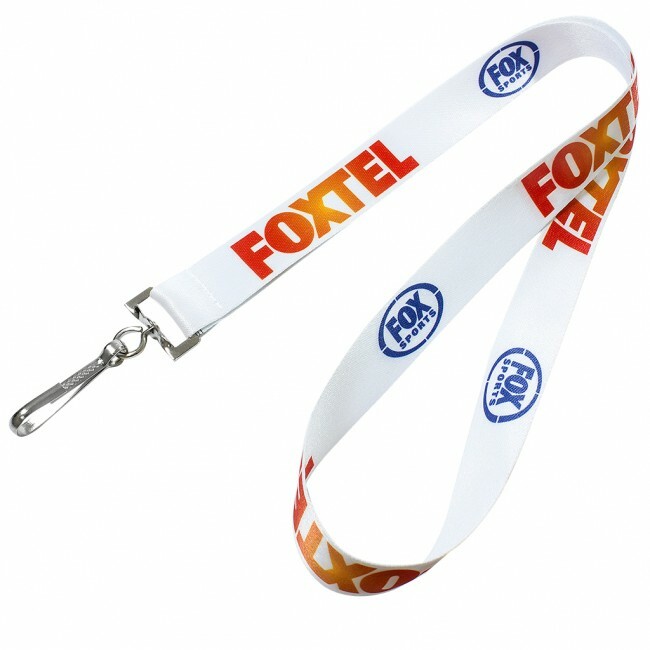 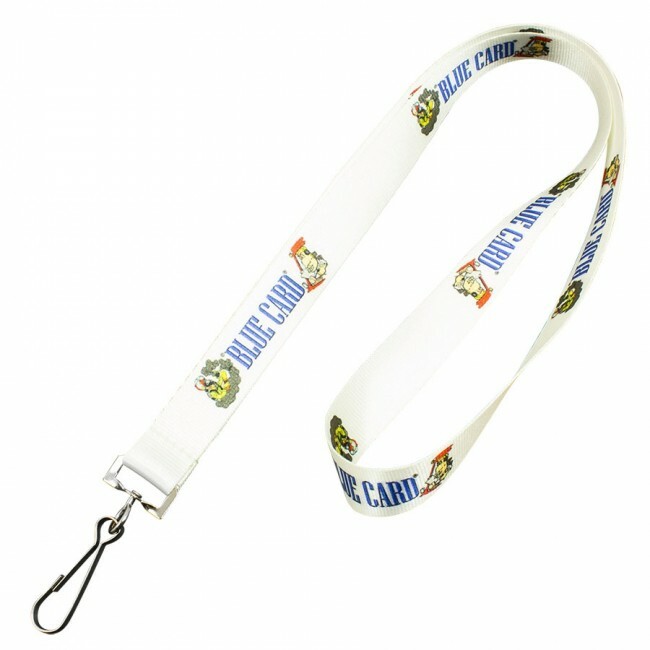 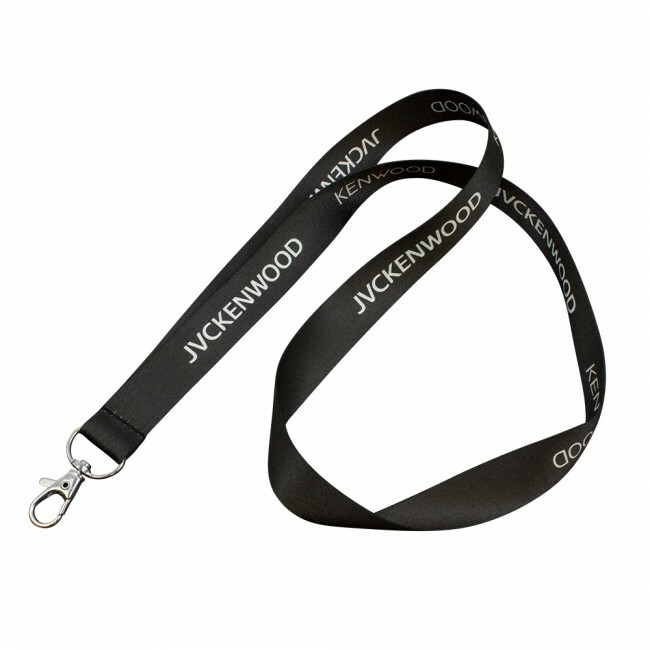 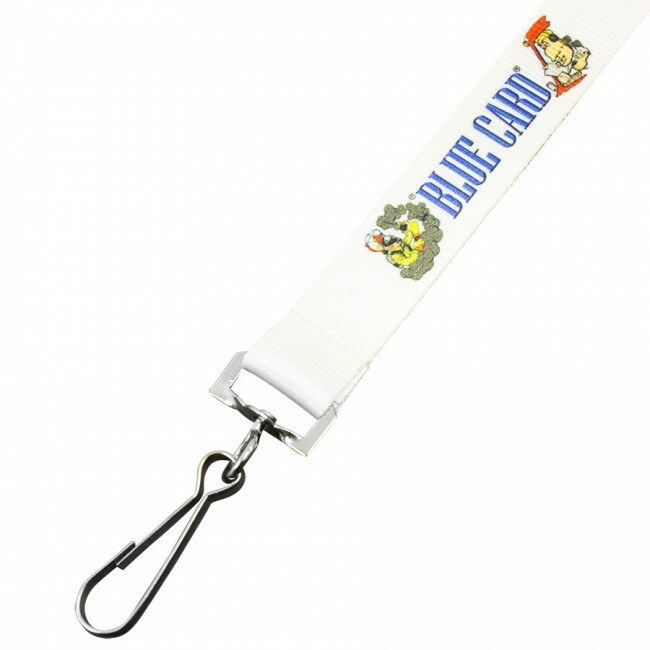 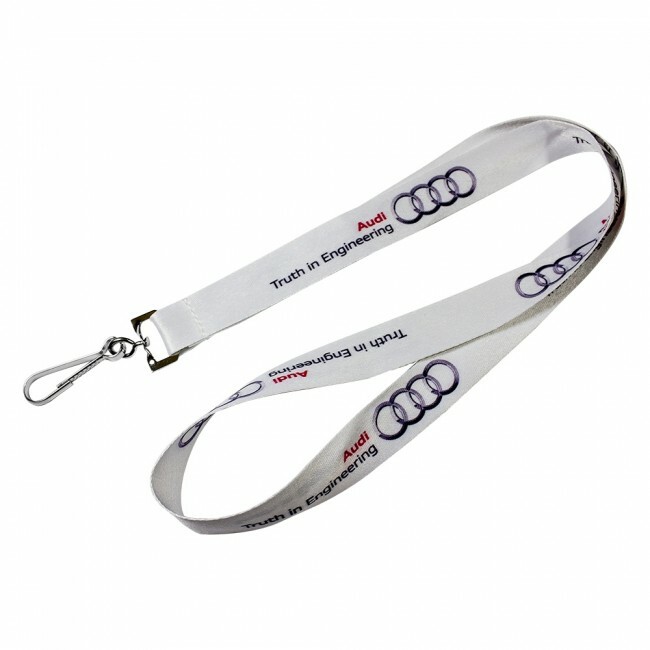 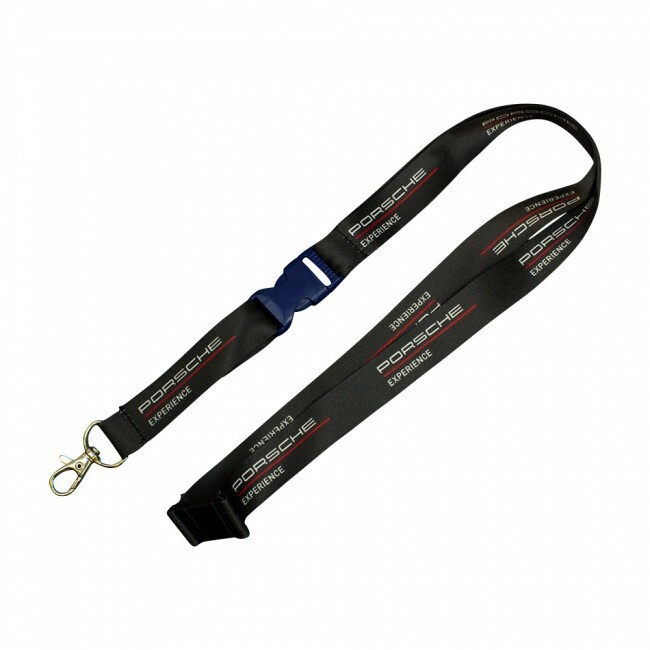 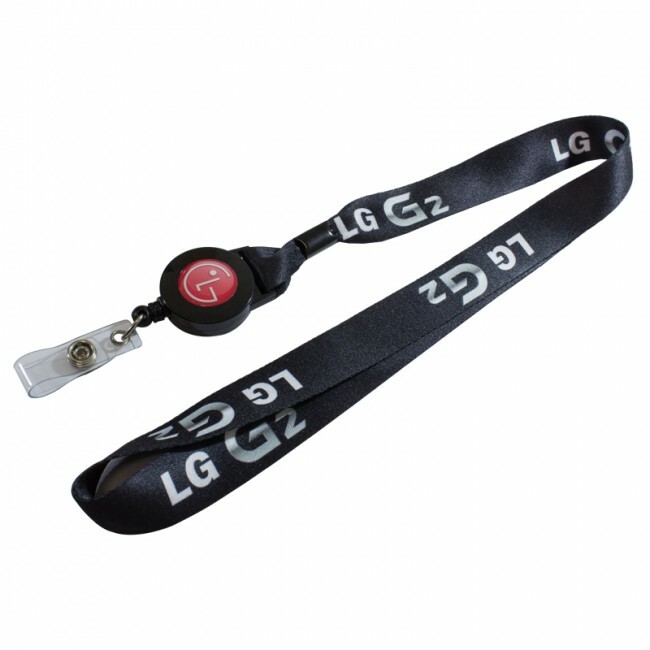 Our sublimation lanyards will definitely not disappoint you, your staff or your clients. 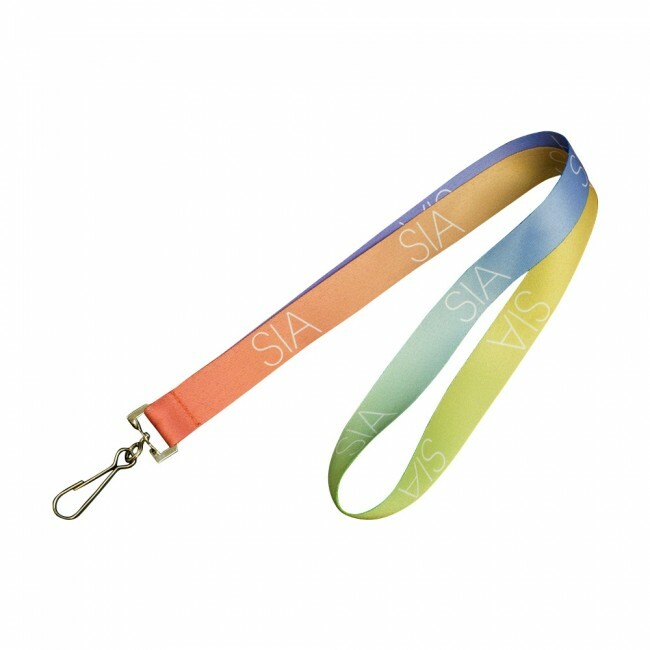 Everybody knows about the impact of colors. 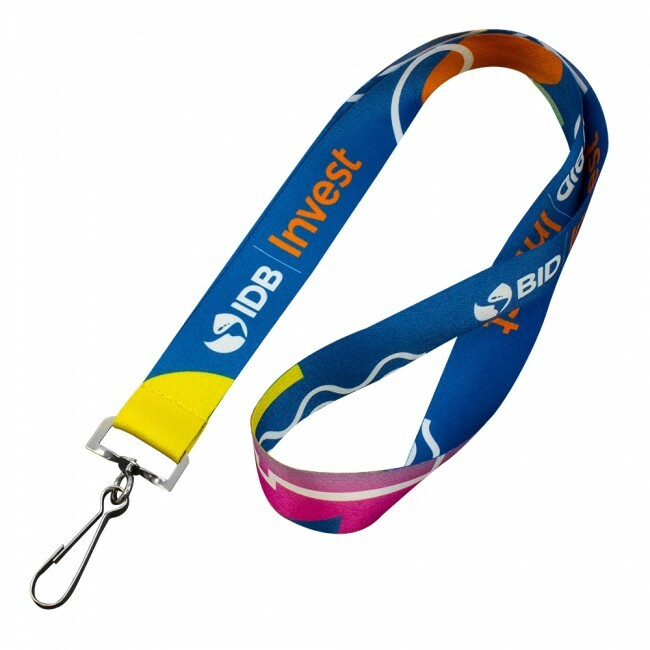 Colors are important for business owners, individuals, charitable organizations and even government agencies. 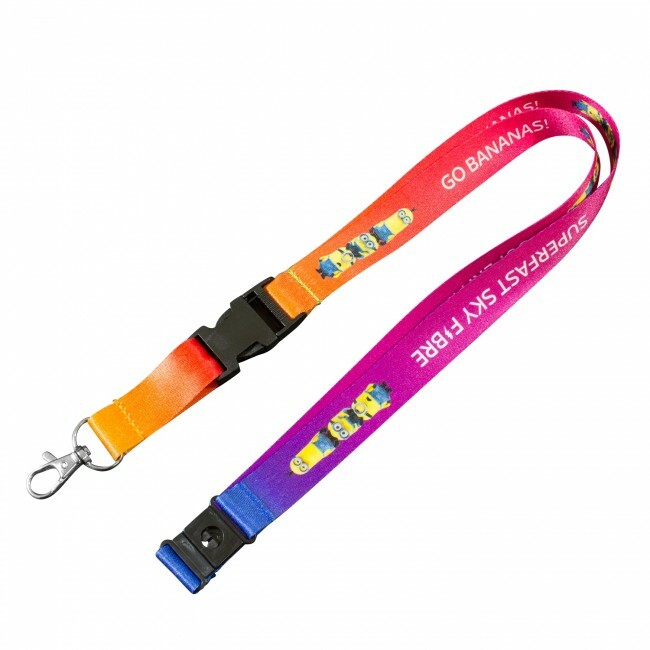 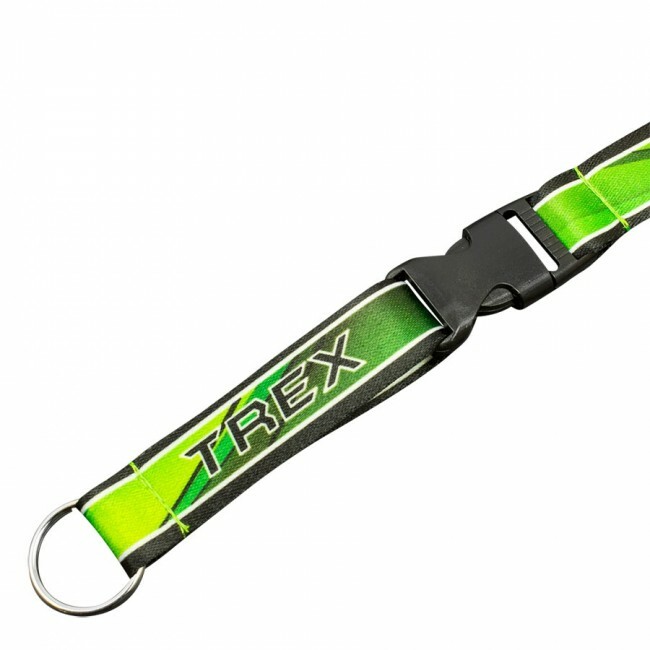 Indeed, a particular combination of colors can get instantly associated with a brand and this is exactly why you should think of dye sublimated lanyards to promote your business. 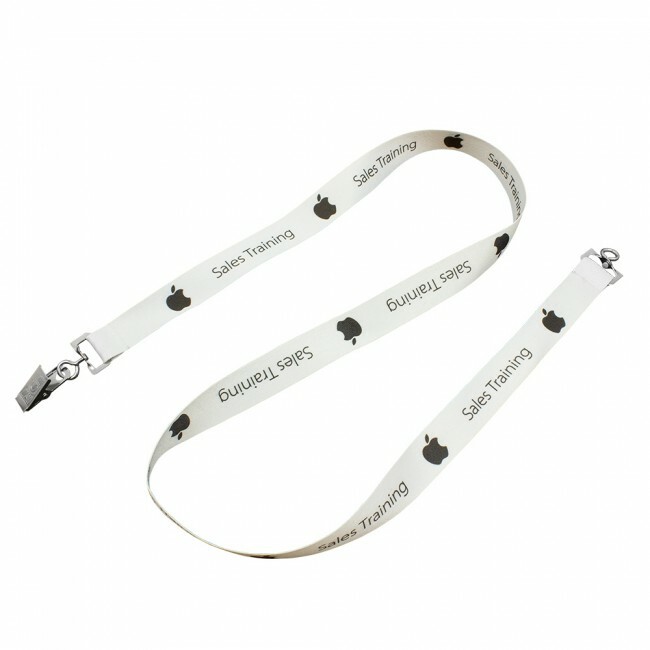 Why choose our sublimation lanyards? 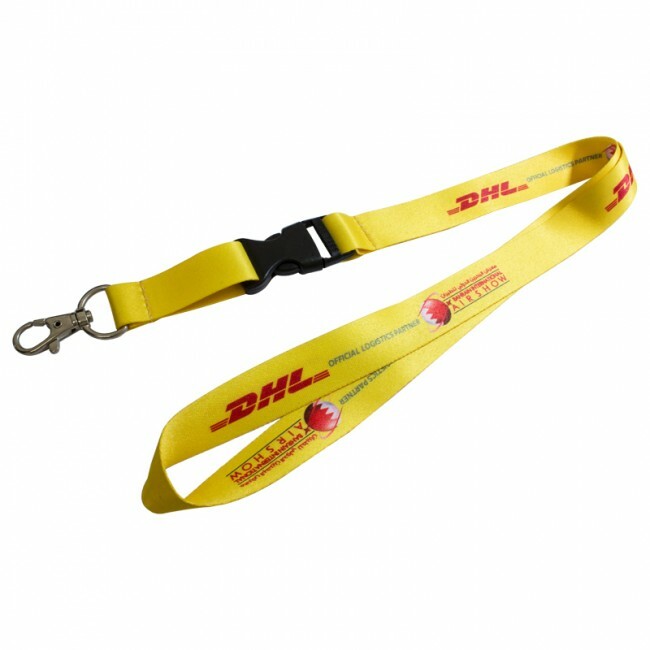 A complete match to your corporate colors. 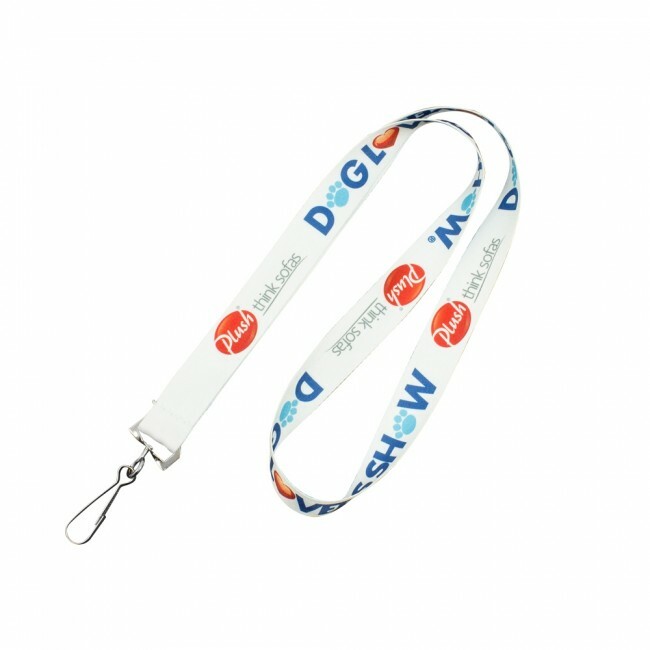 The ability to create unique and exciting designs. 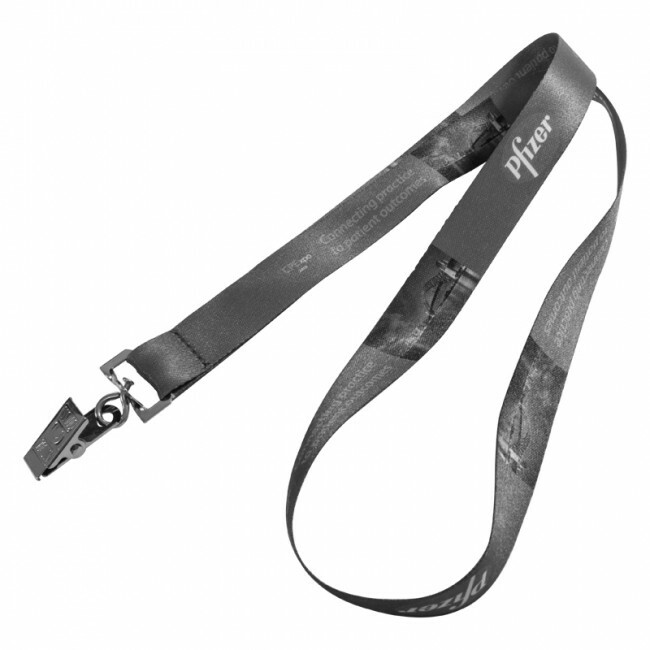 Recreation of a photograph or any other image with complete fidelity on to a lanyard. 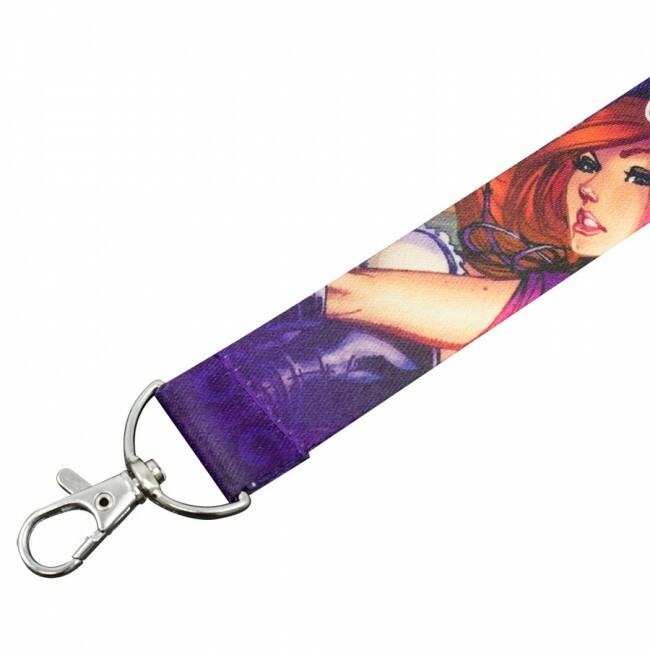 The ability to play with shades of color so that you get perfect results. 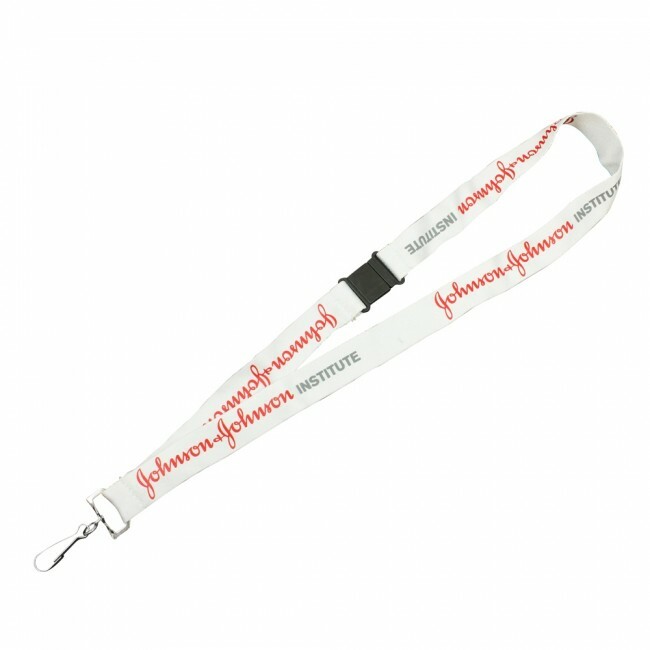 In most cases, dye sublimated lanyards are top of the line products and therefore allow you the full range of customization. 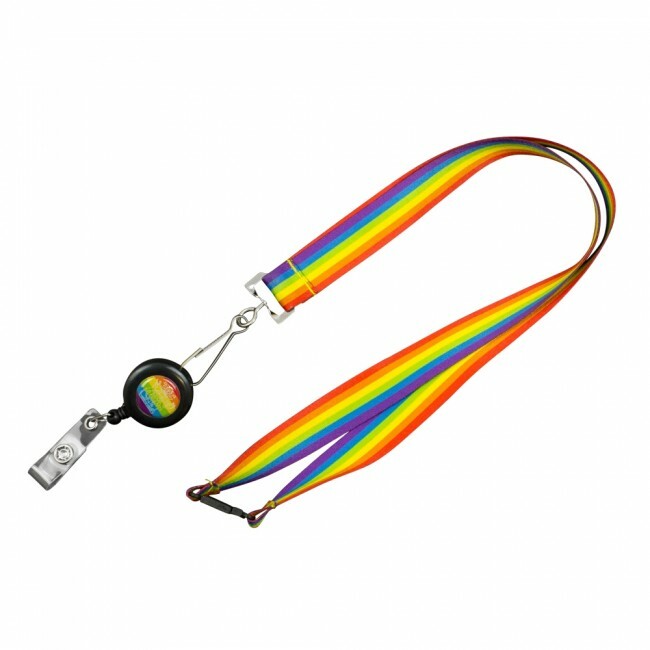 Apart from the colors and images, you can also choose different kinds of clips and fittings so that your lanyard is perfect for the occasion. 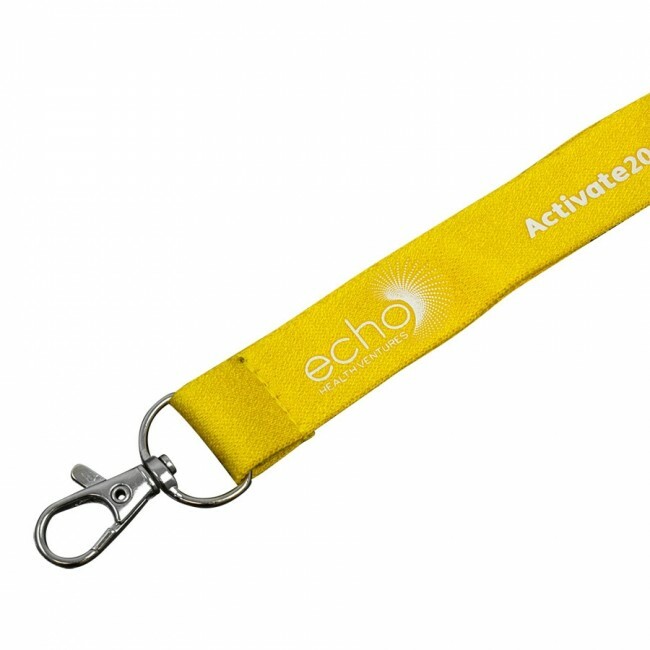 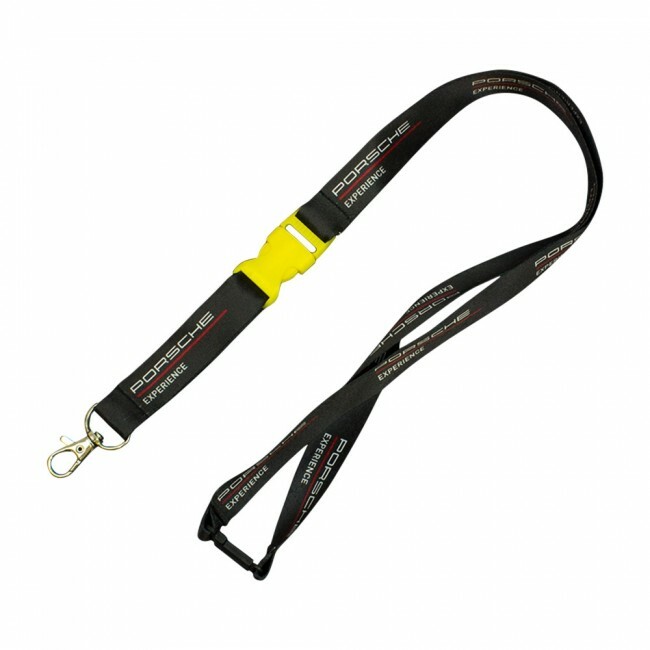 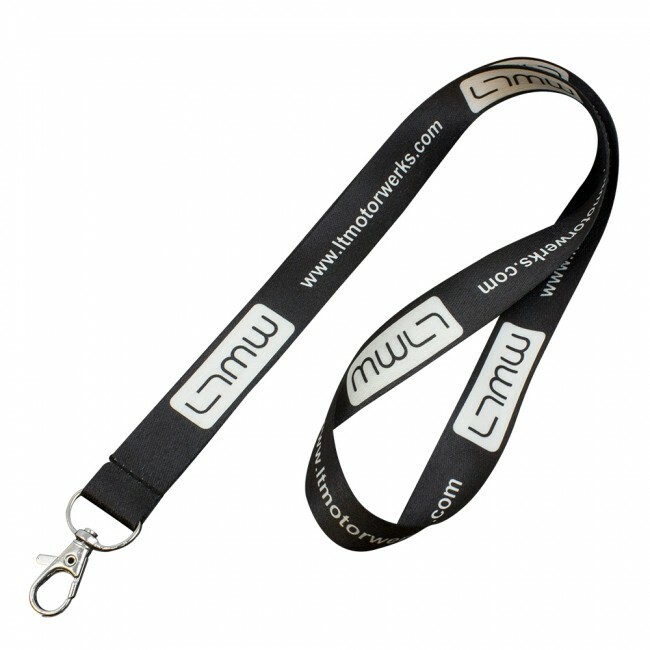 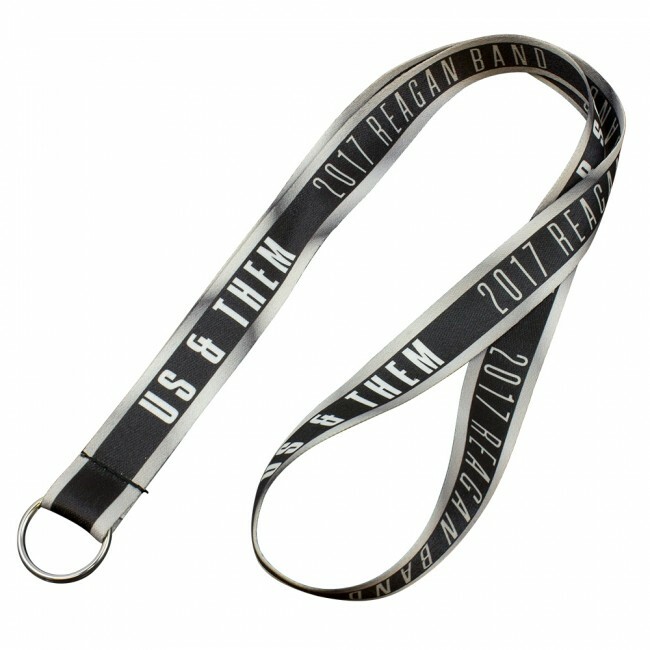 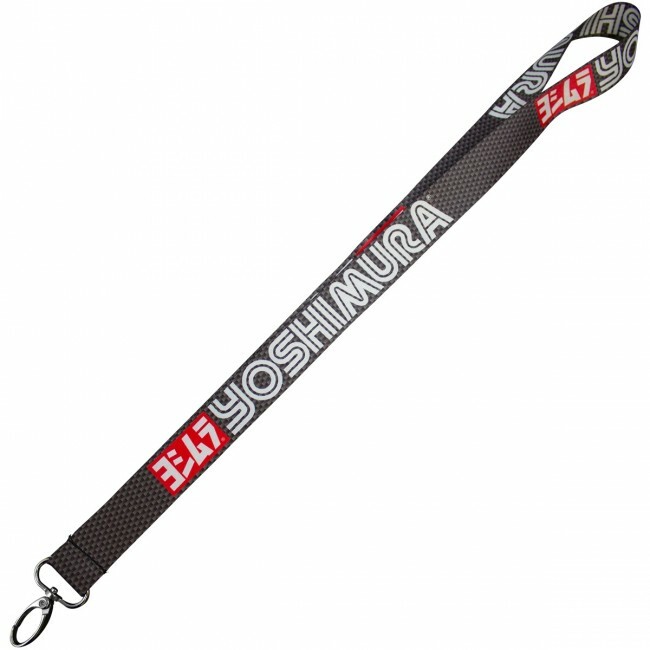 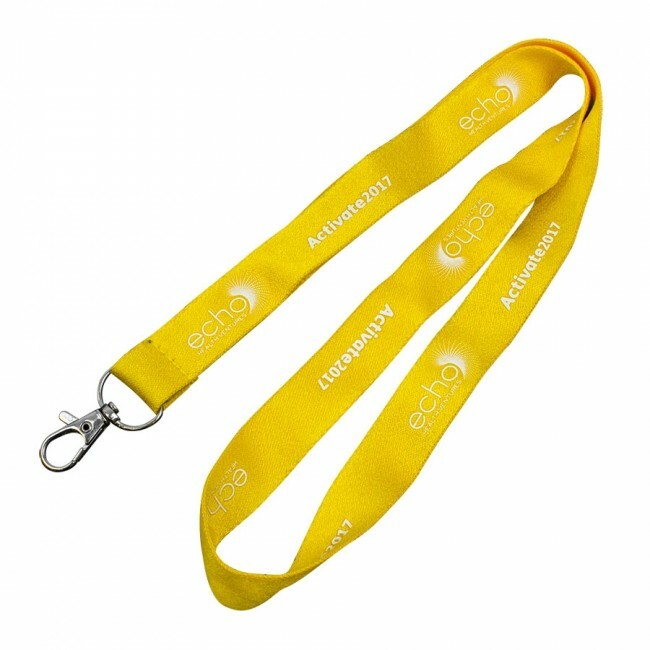 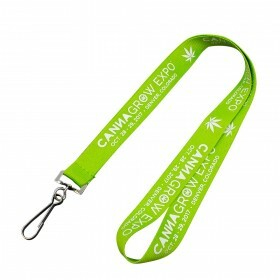 You may also like to choose the right width of the lanyard so that you can print all the necessary details such as the name of the company, tag line or even a slogan for a new product that you are releasing into the market. 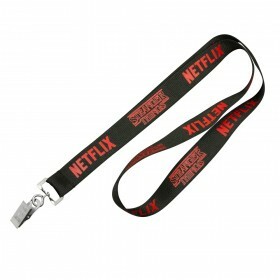 The more thought you put into the lanyard, the more the brand mileage you can get. 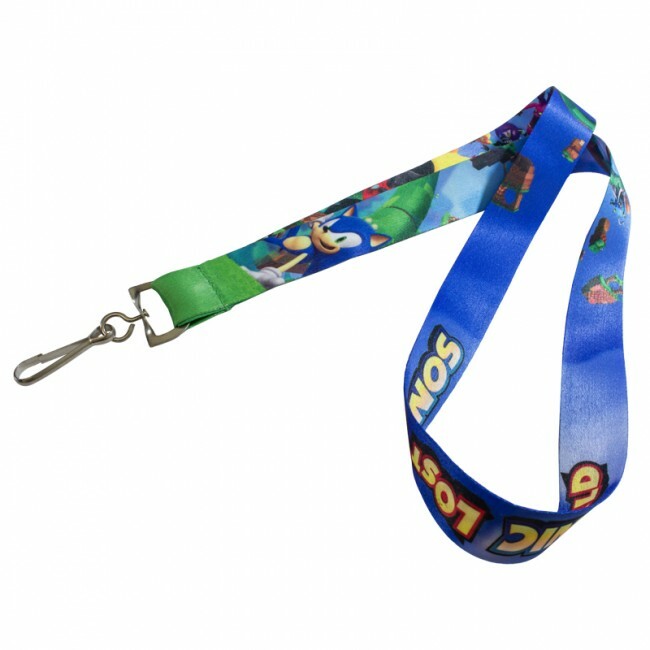 Ensure you tell us everything you could possibly want placed onto the lanyard length. 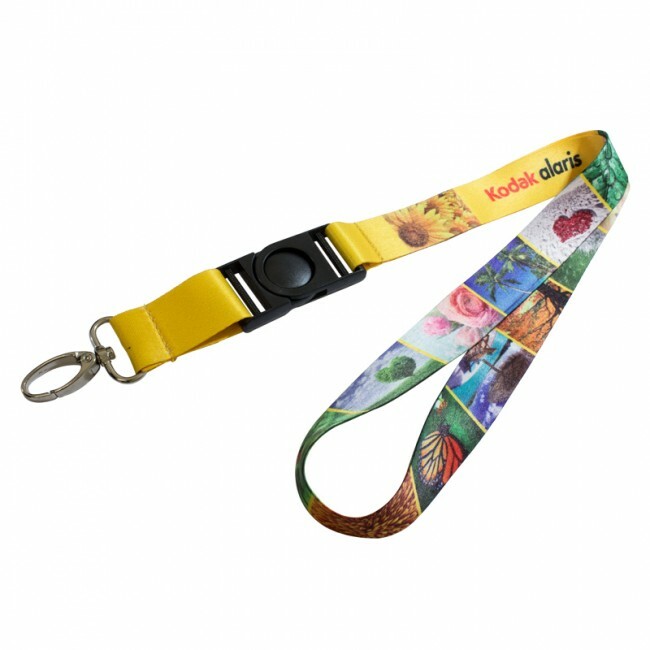 There is no limit to your design, colors, gradients, photographic images, The works! 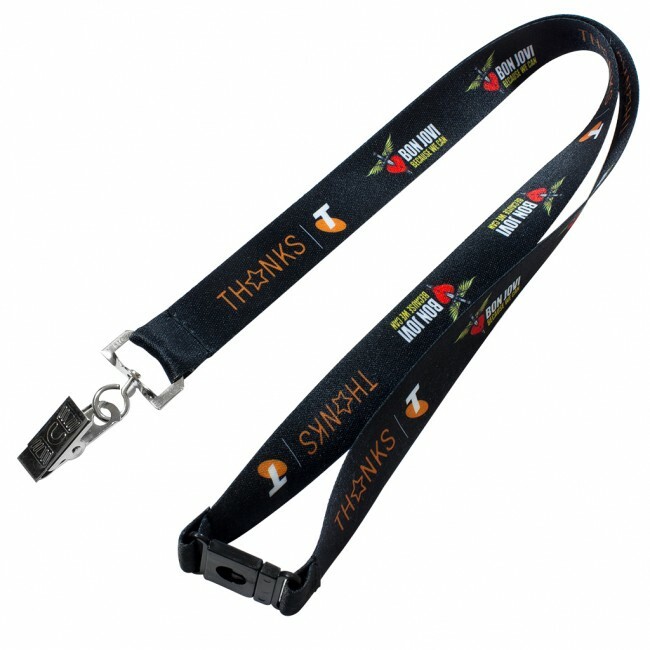 Our graphic gurus will get to work creating an awesome preview of the lanyard before production. 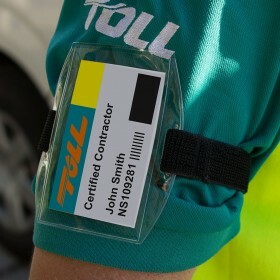 You can amend this as many times as needed to ensure you get the right end product. 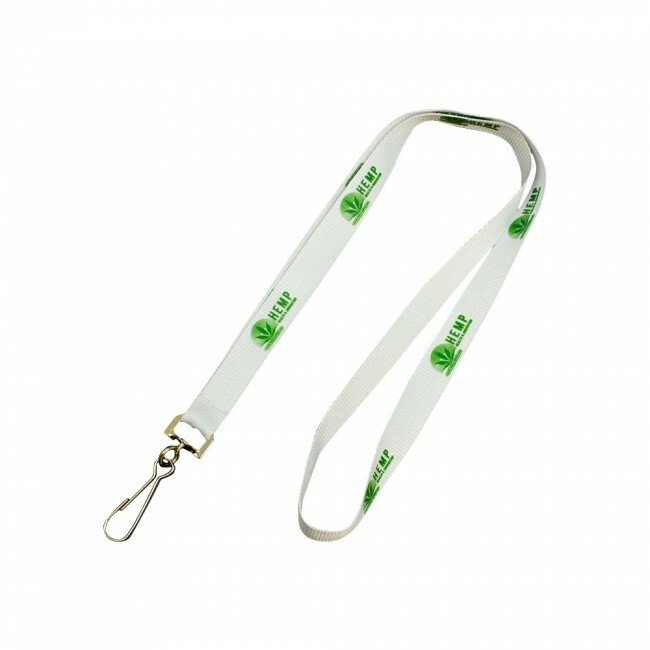 Submit your logo or design files in AI EPS PDF or CDR to ensure high quality print. 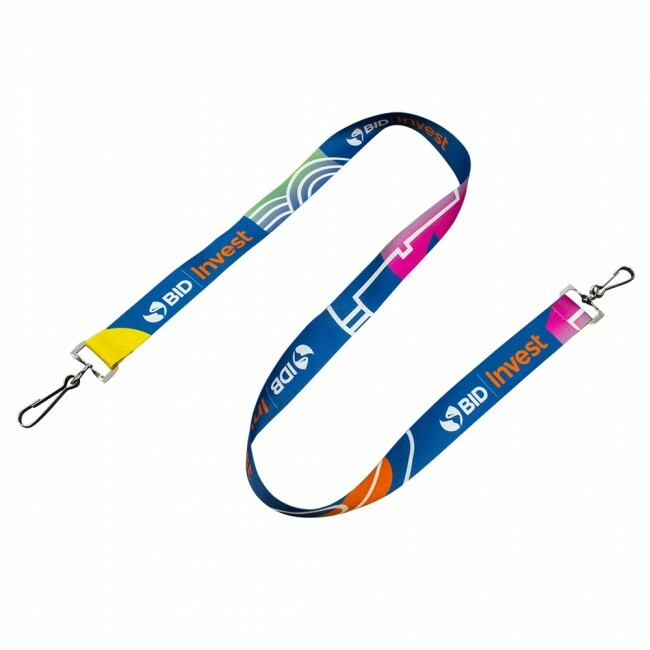 These lanyards have a full focus on design, so it is best to design something cool, even contract a graphic designer to create a design or let our team assist with the design if needbe. 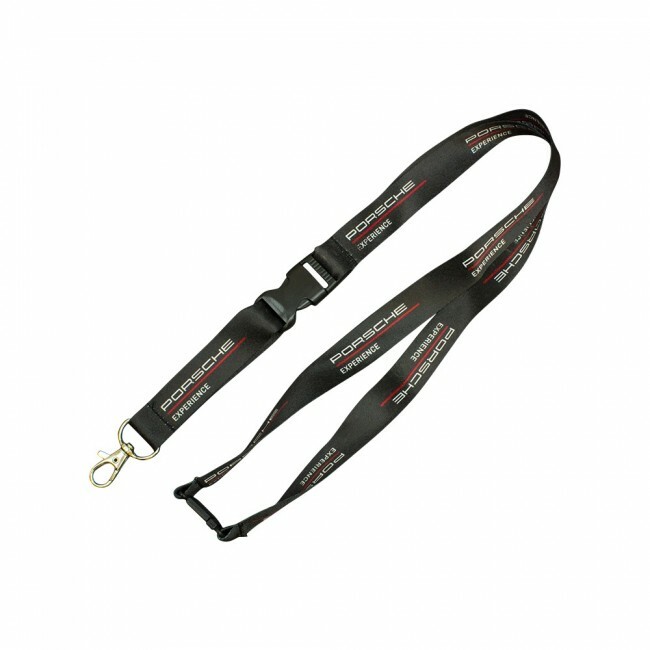 Just drop us an email or complete our quote form to the top right and we will be in touch straight away with a firm written quote. 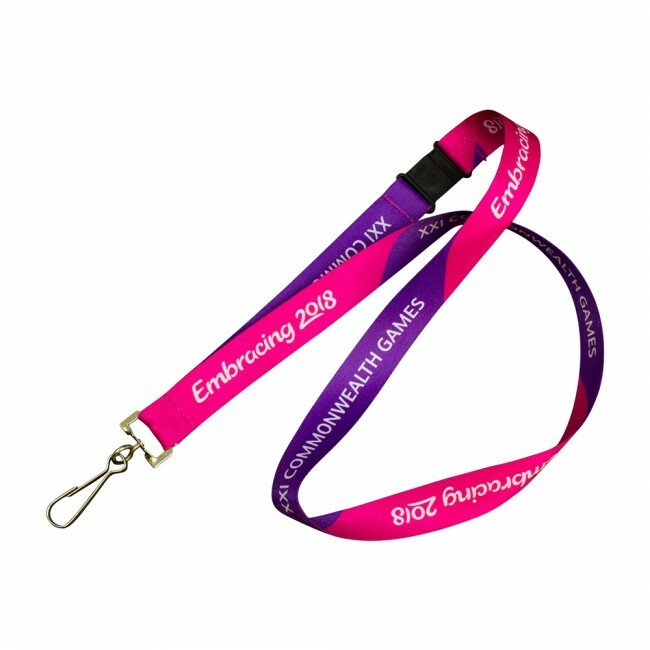 Many people think dye sublimation lanyards are expensive because of the great finish and designs people can have, this is not always the case on certain quantities it is actually cheaper to choose dye sub. 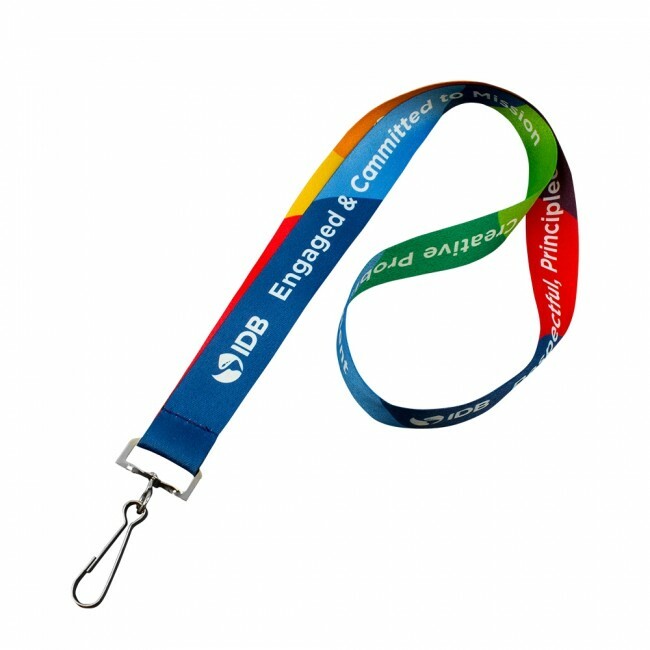 So contact us for further information and we will be only too happy to help!